Proper temperature and humidity levels are very important for a successful incubation. If either one of these numbers are significantly off it can ruin an entire incubator full of eggs. In this blog post, we will go over 5 tips for more accurate manual humidity control while incubating. Make sure you have done your research and understand the basics of incubation, it is important to have some knowledge of what you are doing before you even think about firing up your incubator. Making sure you have the proper tools is important to any successful incubation. To properly read your humidity levels you will want to use a hygrometer. This is a tool for measuring humidity levels and is a necessity for incubation. Accurately knowing your humidity levels will help to increase hatch rates. Most of us have seen the aftermath of a successful hatch and the toll it takes on our nice clean incubators. After your hatch you might find all kinds of nasty stuff in your incubator ranging from chick fuzz to egg shell pieces and even chick poo. Guess what? Someone will need to clean that out to preserve your incubator and prepare for your next hatch but don't worry, although the task may seem daunting, we have a few tips to help simplify and streamline the process. Is it Too Late to Hatch Eggs?? Spring time is a big rush for hatching eggs. As a company that sells egg incubators, we definitely take notice. Now that it’s summer some may ask: “Did I miss the window of opportunity? Is it too late to hatch my eggs?” The answer is… it depends. The first thing to consider is the type of bird you want to hatch. Chickens will Generally lay eggs for most of the year. They'll stop laying when they start molting and will really slow down egg production in those months with less sunlight. The rooster will do his business year round. As a very broad average hens will generally produce about 250 eggs per year. This heavily depends on the breed of the Chicken. Geese, on the other hand, will only lay eggs in the spring, as well as many breeds of Duck. We sell a variety of different incubator thermostats, all of which will ultimately get the job done. Two of our most popular thermostats are the IncuStat Basic and the IncuStat Advanced. They come as an individual units or part of the IncuKit XL for cabinet incubators. A common question we receive is “Well which one should I get?” They both automatically regulate the temperature; they are both accurate, both digital… So what’s the difference? The main difference is in the way they regulate the temperature. Raising Ducks has many advantages, as do Chickens. They both lay eggs, they both provide meat and they are generally raised in the same way. My goal in writing this blog is not to tell you that one is better than the other, but rather to show the differences between Ducks and Chickens, pros and cons of Ducks and to clear up common misconceptions about Ducks. Having an accurate, reliable thermometer is crucial to having a good hatch. I recommend not using the bulb/red liquid thermometers that may be included with your incubator. The best place for those is the garbage. You can go to Wal-Mart and buy one for $10. Although this may be great for givng you an idea of the indoor temperature of your home, it is not designed to work in the 99.5 degree range for incubation. There a several things anybody hatching eggs should know. For simplicity sake I made a list of 5 things you should know for starting your hatch. If you would like a full guide on how to hatch eggs visit our Beginner's Guide to Hatching Eggs. 1. First and foremost, before you buy or collect your fertile hatching eggs make sure you have all your incubation equipment (i.e. Incubator, egg turner, thermometer etc.). 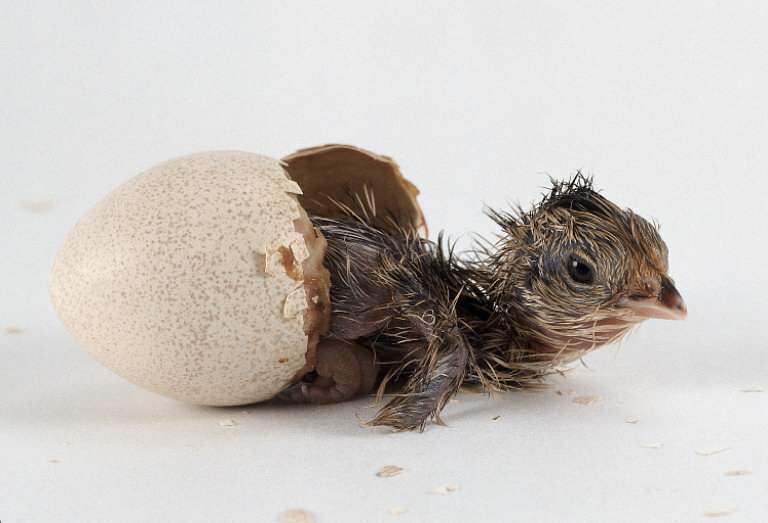 Don’t wait until you have your eggs to buy your incubator. 2. Place incubator in room where temperature stays fairly constant. This helps prevent large temperature swings during incubation. We recently processed our own Turkeys. It was quite the adventure being my first time. I decided to document our process along the way to possibly help others that may be embarking on a similar journey as I had. I hope you can use my experience to avoid the mistakes that I made and maybe even apply some of my learnings for the next time you process a Turkey (or any bird for that matter). Please share any suggestions or tips you may have. Here, in the Northern hemisphere the temperature has plummeted! Hatching season, for the most part, is over. Most of you will probably put your incubator in storage, but those who read this article will get the maximum amount of utility out of your incubator year-round! So take one of these ideas and put it to good use. (Note: This article is satirical; these ideas are not actually recommended). 2. Food warmer, Roll warmer – Keep your cooked food at a constant 99.5 degrees until it’s time to serve.before entering the cold? 3. Small Christmas gift hider – This is the last place your kids will think of to look for gifts!